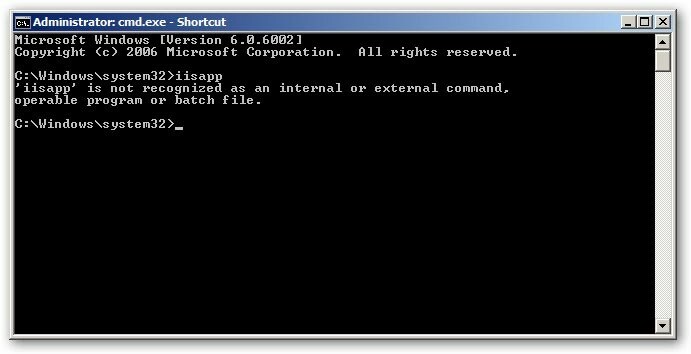 Debugging SharePoint in Windows Server 2008 – IISAPP Is Missing! I’m currently working on a solution that is built in top of SharePoint 2007. My development VM is built with Windows Server 2008, to mimic the production environment. Some of you may be thinking “If you’re working in SharePoint 2010 with VS2010, you don’t need this, Visual Studio will automatically attach the debugger to the worker process for you!". Think again. On a SharePoint 2010 training course, I got to try out the automated debugging offered by VS2010, and it is sloooowwwwwwwwwwwwwwwwwww.... As in, hit F5, go get yourself a coffee, and still have time to dunk a few digestives before the debugger responds. And this was a Hyper-V VM with 6GB RAM dedicated to it. So, even in VS2010, you are still going to want to attach the debugger manually.